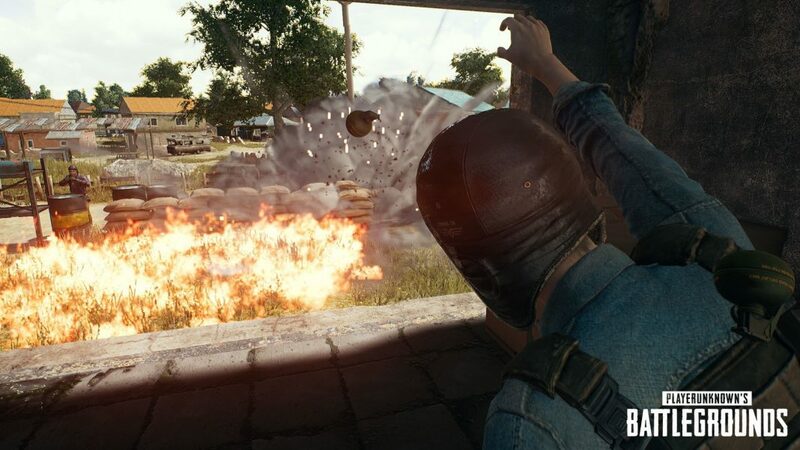 PUBG Corp. has been working on one of the most explosive event called ‘Dodgebomb’ for the game, which is about to kickoff in a few hours from now. Dodgebomb event will start today at 7 pm PST / 3 am BST and it will feature a lot of destruction players can only imagine, as the players will spawn with 20 grenades, one molotov, a frying pan and level 3 armour. The entire event will be set in Erangel of 30 players, divided into three teams (10 players per team). Players will be awarded three points for each kill and the respawn time is set for 30 seconds, similar to the deathmatch mode. First team with 100 points within the time limit will be declared the winner and in case no team reaches the 100 point level within the time limit, “the team with most points wins”. Whereas the weather conditions will be fixed throughout the entire PUBG Dodgebomb Event, red zones in the map will be disabled and the care packages will not work. Interestingly, the friendly fire will also be set off, so the players can ambush the enemy team easily. The event will be starting from today and will run until Sunday night. In the other news, it was announced that the developers have started to address the reported issues and will be releasing a couple of new fixes from today. It is a good initiative to fix the issues so the players can enjoy a competitive game environment.